It’s not every day that a new product comes along that makes a significant difference for audio engineers — both pros as well as the home studio crowd, but IK Multimedia’s ARC Advanced Room Correction System is something of a revelation in a box. ARC can make a significant improvement in your audio monitoring environment whether you work in a project studio, home studio, or take your recording gear on location. Tuning monitors to a room is a task usually left to audio engineering experts and studio designers. Some engineers will use a pink noise generator and test microphone at various positions in the listening field to develop custom EQ curves to make monitor playback as natural sounding as possible. Others just rely on their experience and their ears to calibrate the listening environment based on familiar source material. But most musicians with home studios and project studios lack the expertise to do a great job of this. When your listening environment isn’t tuned properly, you end up with mixes that just don’t translate well to other environments. While we could go into detail about issues like standing waves, nodes, phase response, etc., there’s no need for the purpose of this review. A simple example would be creating a mix in your home studio, bringing it out to your car stereo, or to another studio, and finding that the bass response and overall mix is nothing like what you heard while mixing. If you move between project studios and commercial facilities regularly with your projects, this can be particularly problematic. The ARC package includes a calibrated test microphone, a software application used for analyzing your acoustic space, and a plug-in that applies room correction adjustments (based on the analysis) to the master output of your DAW. More than just a fancy, intelligent EQ, ARC’s other advantage is that it compensates for phase issues that can occur within an acoustic space; something that corrective EQ curves applied your master output can’t compensate for. ARC’s straightforward and easy-to-use user interface makes the seemingly complex process of monitor calibration a snap (especially for musicians who lack audio engineering expertise), and within a matter of minutes, your monitoring environment should sound better. ARC is not just a tool for the project studio, though. While commercial facilities have the staff, tools, and experience to tune their rooms for themselves (and thus may have only a cursory interest in this product), engineers who do a lot of location-based recording for artists will love having ARC in tow. Whether you regularly travel with your favorite studio monitors or rely upon whatever gear is present in the makeshift studios you find yourself in (we’re imagining bands that love to record in old European castles), ARC will make calibrating your monitors within less-than-perfect acoustic spaces a breeze. Developed in partnership with Audyssey, the ARC system starts with an included test microphone. The omnidirectional microphone has a frequency response of 20 Hz — 16 kHz and comes in a molded plastic, foam-lined carrying case along with a microphone stand clip. The documentation is very specific regarding test mics — use the supplied microphone! While your studio might own a more expensive test/measurement mic, this one is specifically calibrated for use with the ARC system. Allowing random mics to be used with ARC would potentially minimize the accuracy of the solution, but still, we’d like to see a less expensive version of the product become available that works with a few other popular test microphones. Next, the standalone testing and measurement software application runs on both Windows and Macintosh platforms. With this application, you take a series of measurements — test tones from the monitors are captured through the test microphone and analyzed, and the results are saved to a data file. You can save as many monitor profiles as you’d like — handy if you have multiple monitors that you’re correcting for. 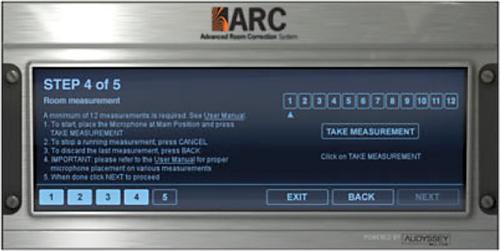 Finally, the ARC plug-in reads those data files and applies the appropriate room correction. 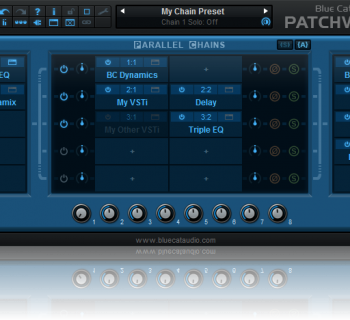 It supports most of the popular DAW platforms in VST, RTAS, and AU formats. We tested the ARC system on an Apple Power Macintosh Dual-Core G5 with Digidesign Pro Tools 7.3.11. Installation was a breeze (IK Multimedia no longer requires hardware dongles for installation of their products), and we were registered and up and running in just a matter of minutes. Besides installing the software, we connected the test microphone directly to a Digidesign 002r audio interface and enabled phantom power on the mic channel. Since you’re trying to obtain as clean a measurement signal as possible, solid-state preamps are preferred to tube preamps. This is one instance where you don’t want your preamp coloring the sound. ARC found our audio interface automatically (gave us a choice of the 002r or the Mac’s internal audio input) and ran through a simple wizard that directed us in what to do. Using a supplied test tone generator in the application, we first set the monitor volume to our typical mix volume level. After that, it was on to making measurements. Both the documentation and the online steps directed us to position the microphone in numerous listening locations since ARC takes anywhere from twelve (minimum) to thirty-two (maximum) measurements. We took between thirteen and sixteen measurements each on a few different monitors for our testing purposes: some KRK VXT 8 and Event Electronics PS-6 monitors were used for this testing. After all of the measurements were taken by the application, we were able to save our monitor profiles. A very nice touch was being able to select photos of our monitors from a gallery of images to associate with the measurements in the plug-in. Once our measurements were completed, we launched Pro Tools LE and inserted the ARC room correction plug-in on our Master Volume track. In the drop-down list on the left-hand side, we selected our previously saved monitor profile, and a graph within the plug-in window showed curves of our pre-calibrated room measurements along with our corrected measurements. Additional playback options were available from the Target Curve list (Flat, HF Roll-off 1, Midrange Compensation, and HF Roll-off 1 with Midrange Compensation) in order to further optimize the sound of audio playback through your calibrated monitors, but in our testing, we were happiest with the (default) Flat setting. The only other option within the plug-in window is whether or not to enable the plug-in or not. As the documentation pointed out, it’s important to remember to turn Off the room correction plug-in before bouncing any sessions to a file (like creating an MP3 or AIFF export). ARC is adjusting the mix to the sound of your room — this compensation may sound unnatural, or incorrect if applied to your mix and played back elsewhere. Unfortunately, there were numerous instances where we had forgotten to disable ARC prior to mixing down a session, and while it’s no specific fault of the plug-in (and the results still sounded fine to us in general), you really need to remember to turn the plug-in Off before bouncing down your session files. CPU impact was minimal. We didn’t seem to experience any loss of processing power as a result of this plug-in on our master output. ARC does what it’s supposed to do, easily and well. It brought improved clarity to the monitoring environment in our project studio, and multiple MusicPlayers.com editors were impressed by the significant difference it made in our listening environment. It seems as though not only did ARC provide improved clarity throughout the frequency range of our mixes, but it really made our less-expensive studio monitors sound significantly improved. So perhaps before you feel the need to replace a cheap set of monitors with a better pair, it might pay to invest first in ARC, because even great monitors in a poorly tuned room won’t sound nearly as good as they should, and then you’ll still want something like ARC to make those monitors sound their best. Can you make your room sound just as good without ARC? 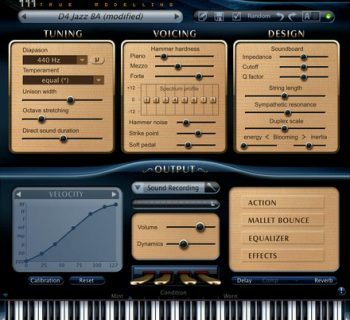 Possibly, if the room acoustics are appropriately designed and you’re a pro with the EQ. But in the home studio or mobile environments, where you’re more likely to encounter phase issues and other audio problems related to non-optimal room characteristics, ARC does a beautiful job of making your monitors sound their best. We’ll be purchasing at least a few ARC systems for some of our test studios. The documentation was generally excellent. With its guidance, we had the software installed, testing underway, and our first set of monitors calibrated in just thirty minutes time. The documentation also made clear the most important issues: using the included test microphone (and using it properly, pointed up instead of at your monitors) and remembered to turn the plug-in Off before bouncing down your final mixes. What could have been better? We wish that the illustrations regarding locations for taking microphone measurements were larger. For users who tend to briefly skim the documentation (or ignore it), they might overlook these handy visual aids. IK Multimedia’s ARC Advanced Room Correction System (MSRP $699.99) can be found online for approximately $600, or a discounted cross-grade package can be purchased for $470 if you are a registered owner of any other IK Multimedia software (i.e. that light, bundled copy of Amplitube that came with your DAW qualifies!). For the on-location pro engineer and the professional project studio, this is a good price for the package, and after calibrating your monitors, who know what creative uses you may find for the included microphone — recording acoustic instruments comes to mind for us. 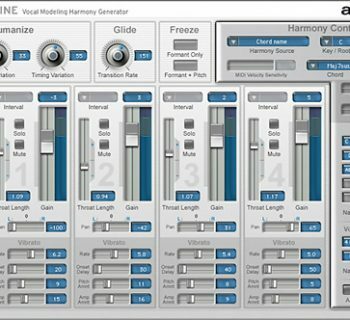 Many pro studios will find this tool particularly handy to have around, especially if they’re routinely working with multiple sets of monitors in multiple project rooms. 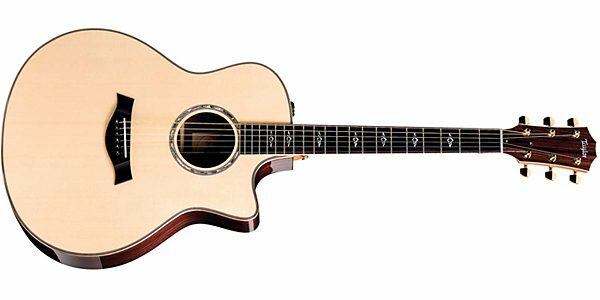 The pricing places ARC out of reach for many of the musicians who could really benefit from it the most: the thousands of home studio musicians trying to make pro-level recordings at home but who lack optimal acoustic spaces in which to work. But if you’re trying to record quality music at home, this is a tool that you should consider a required component in your home studio. There’s nothing especially glamorous about calibration tools, but the value of such a product shouldn’t be underestimated. And if you were to hire an outside pro to come in and tune your room, you can expect that the cost of their service (plus acoustic treatments) would surely cost more than the infinitely reusable ARC system.